At the heart of this presentation is the idea that our original wounding around money and finances are our separation from God/Source/Universe. The way that we dealt with this trauma sets up default patterns that are always at the root of failure lack and limitations. 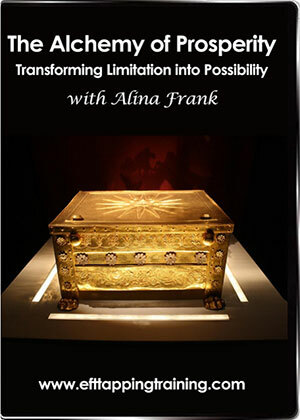 This presentation by EFT coach’s coach, Alina Frank, will assist you in gaining clarity to create the shifts in those beliefs then translate them into wealth consciousness. Get this as a physical product shipped to you instead here.